Welcome to our premiere issue of SGL Booklovers magazine covering the biggest and brightest in the world of books in our community. I can remember my first time reading a book and thinking that I can go any and every where through the pages of books. Books are a great way to escape life and its problems; and it can also help you to deal with them. Just by learning from someone else’s issues. No matter what type of genre you like books are cool. With the recent surge of GLBT books in the last five years, we decided to create a periodical that will inform, enlighten, and educate you through the world of books. When we put out our autumn 2010 preview issue, the respond was phenomenal. While putting together this issue we interviewed tons of SGL Authors and read a lot of books. Though some Authors didn’t respond in time before we close this issue. 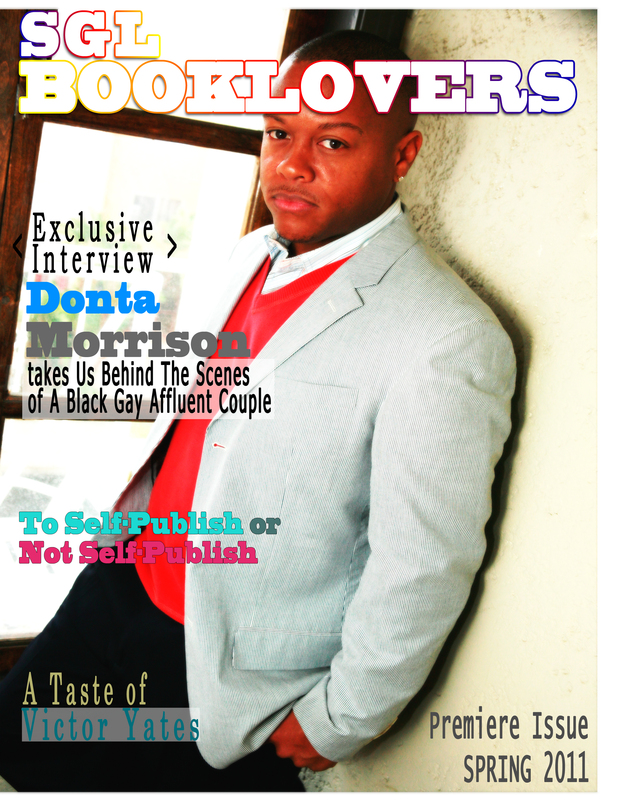 I had the opportunity to interview our cover model Donta Morris about his debut novel “The End of the Rainbow” on page 13. Next we sat down with G.D. Grace to discuss his journey in publishing. In our Self-Publishing section on Victor Yates wrote about his journey “To Self-Publish or Not to Self-Publish” on page 9. Then I sat down with him to discuss his new book “A Taste of Scar’s” on page 19. Which you can read an excerpt on page 25; and also an excerpt of James Earl Hardy short story “The Last Picture Show” on page 22. In this issue we featured P.A.G.E.S. Book Club based in Philadelphia. Carlos Carter is the founder of this wonderful GLBT group. Please email me with your comments about this issue of the magazine: sglweeklymag@gmail.com. I’ll see you this Summer with our next issue.